As a creative, there isn't an arena in which Sara Bareilles can't hold her own. Bareilles' memoir, Sounds Like Me: My Life (So Far) in Song, released in 2015 was listed as a New York Times Bestseller. Her composition and songwriting contributions to the Broadway musical, Waitress, earned her a Tony Award for Best Original Score along with a Grammy nomination for Best Musical Theatre Album. And for her role as Mary Magdalene in NBC's rendition of Jesus Christ Superstar Live in Concert (2018), Sara Bareilles was nominated for a Primetime Emmy Award. Now, with an upcoming untitled album set to release some time this spring, Sara Bareilles has released the visuals to the first single off the album entitled, "Armor." Contextually, the track is an ode to the women, past, present, and future that have inspired Bareilles. The beautifully written number is a call for a global women's alliance, women empowerment, and the strength and unification needed for a pure, unbreakable sisterhood bond. Sonically, Sara Bareilles vocal performance was divinely orchestrated and perfectly executed over a low-frequency piano riff and warm standing bassline over a semi uptempo drum pattern. Sara Bareilles is currently nominated for a Grammy for her contributions to Jesus Christ Superstar Live in Concert for Best Musical Theatre Album. Tune in to the 61st Annual Grammy Awards on Feb. 10 at 5 p.m. PST to see if she takes home the biggest award in music. 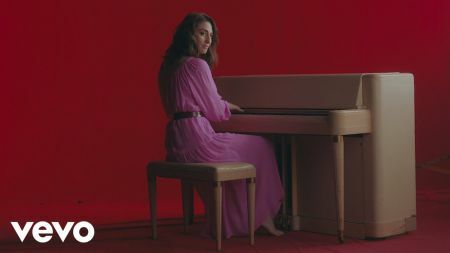 Also, be sure to check out the visuals for Sara Bareilles' empowering track, "Armor," in the video link provided above. And lastly, stick with AXS for all of your ticketing necessities.